For removal/installation of rod bolts, beam polishing, or machining. Securely holds and fits all sizes of aluminum or steel rods. 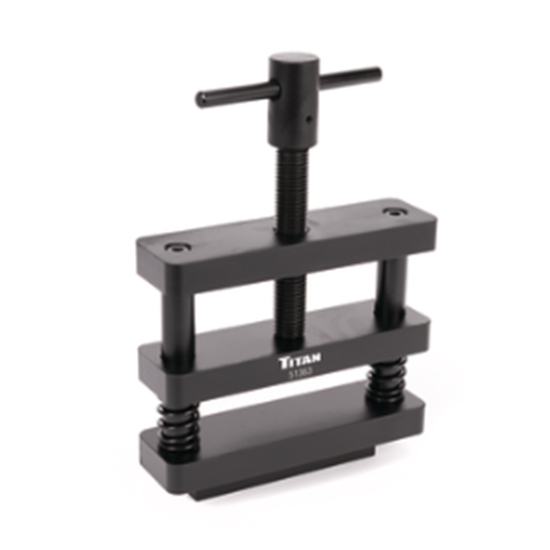 Titan Connecting Rod Vise is designed to hold several rods at once.